L’Dezen by Payal Shah. It rolls right off the tongue doesn’t it? And as luxurious as its name, this jewelry line’s pieces are to die for. 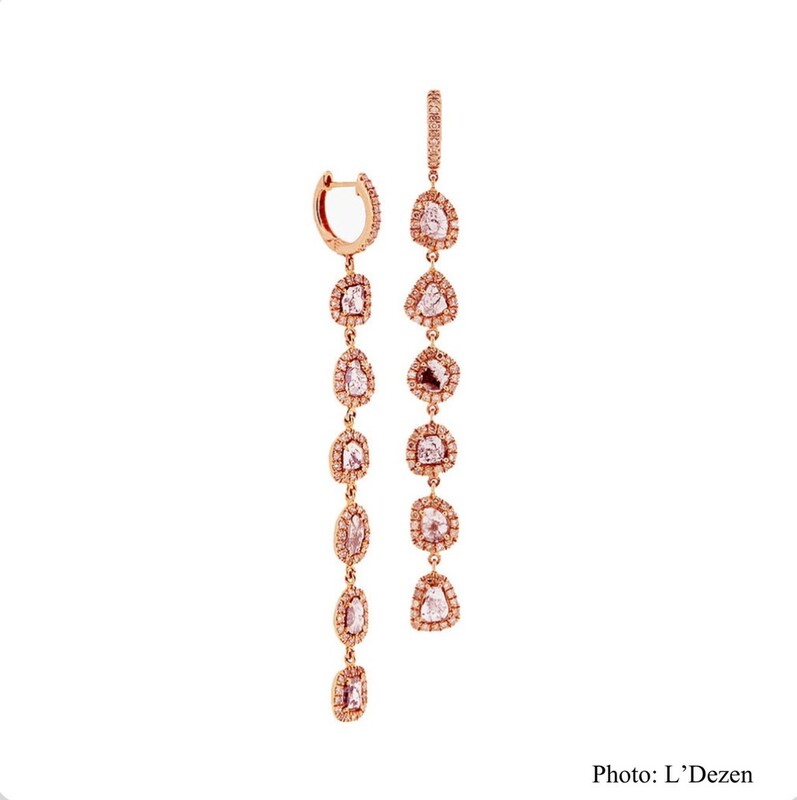 Established by Jewelry Designer Payal Shah in 2011, she introduced something different into the fine jewelry industry. Incorporating her experience as an Architect into L’Dezen, Payal’s creations aren’t like any on the market. So what does L’Dezen mean exactly? In the simplest terms, one of one. One of a kind luxury jewelry that’s embellished with precious stones and unbelievably lightweight. Worn by some of the most admired women and socialites like Michelle Obama, Mindy Kaling, Sharon Osborne, and so many more. L’Dezen is favored and cherished for its unique designs and exclusiveness. 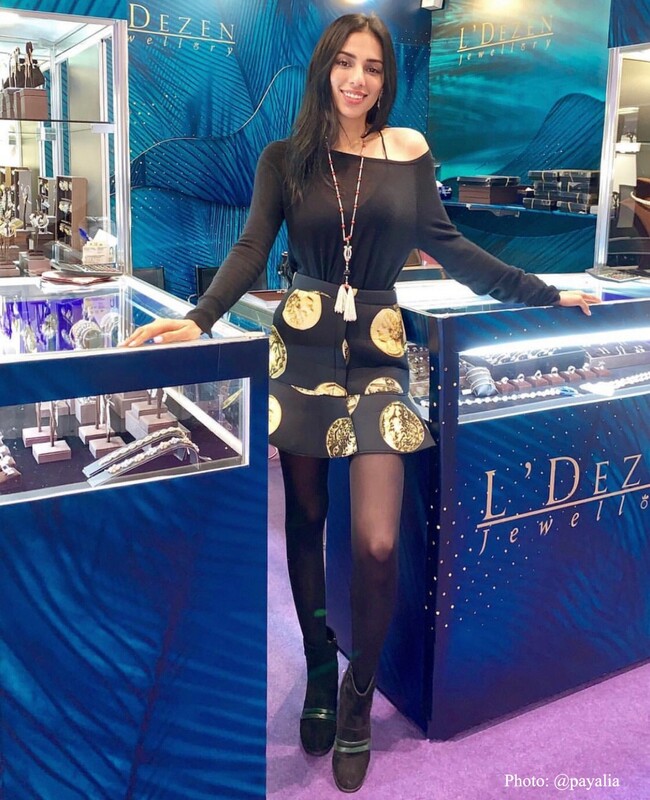 Here, Payal shares her journey and experiences as a CEO in fine jewelry. Nosey Nay: What inspired you to be a jewelry designer? Payal Shah: I studied architecture at University and when I returned from school I began working for a hospitality firm designing furniture. My family is in the diamond merchant business so I started to create my own pieces and received a lot of good feed back. People really liked them and I was offered by a jewelry company to design a capsule line for them. I created the capsule collection and it did really well. I realized that I could do this on my own instead of collaborating or designing for someone else. I started L’Dezen based on creating the things that I love and architectural styles that I believe in. N.N. : What is your creative process like, how do you come up with such beautiful designs? P.S. : I currently have 6 collections and I like to think forward when it comes to my designs. Since I create pieces that are one of a kind, I like to be ahead of trends and showcase designs that are going to be the trend oppose to what is currently trending. A lot of my research is around what I think people are looking for that’s not available. The Chandeliers collection for instance, they’re the most lightweight earrings on the market that were inspired by the most beautiful chandeliers around the world. And this is where my architectural background is incorporated because I was able work around the design aesthetics and offer pieces that feel like they’re not even there. N.N. : Which one of your collections do you admire the most? P.S. : Honestly, I can’t say. That’s like asking me what body part would I be able to live without. Each one compliments the other and I have a different clientele for each collection.They’re all significant to me, that’s why I created the collections. N.N. : As the CEO of L’Dezen, what is a typical day like for you? P.S. : I wish there a such thing as a typical day for me. If I’m home in Hong Kong where our headquarters is, I wake up and go to work to oversee the operations of the company. I look at stones, work on marketing material, look into what exhibitions are up next. So many things, I’m always working. I believe that being the CEO of your own company means that you have to pick up any and every roll that is required in order to be successful. I’ll work out in the evening because it clears my head and I like to end my day with a healthy lifestyle. N.N. : With L’Dezen being almost 8 years in business, can you recall your most memorable moment? P.S. : There is so many. I know a lot of people may say this but I think I’ve had one of the most interesting lives in the world (laughs) because of this business. I’ve been able to meet so many incredible people and design for those who I grew up admiring. Designing for Mary J. Blidge for the Met Gala was beyond what I can express. The “greats” are wearing my designs. Just a few months ago, Michelle Obama wore our pieces and I can’t even begin to explain how that feels. Designing for charities and traveling all over the world meeting different women and people has truly been a privilege. N.N. : What is it like being a women CEO in such a male dominated industry? P.S. : The fine jewelry industry is male dominated as far as ownership. Most women in the industry are designers or in sales so I was commonly mistaken to be one of those roles for L’Dezen. I was in my early twenties when I went into business so I had to learn how to work around those stigmas. Regardless of being a young Indian woman, I’m respected for the work I’ve created. I held a standard for myself and behaved accordingly, which is how I earned respect in this industry. N.N. : What advice would you give to someone who would like to peruse a career in fine jewelry as jewelry designer and owner? P.S. : This is a long-standing saturated tough industry. Know that coming into this business, it is a lot of work compared to other industries in fashion so you must be prepared. Do your research and learn the market. Think about who you’re catering to and get as much insight and experience in the industry before you take that step out on your own. Envision your long term success because short term success doesn’t necessarily display longevity in this business. Fashion is constantly changing so you have to stay on your toes and on top of your business.